As is my habit on voting days, I accompanied The Lawyer to the local elementary school. The Lawyer stood for a long time in front of the panel of candidate posters. A long time. And the Lawyer was not alone in taking an inordinate amount of time for a study of the 14 faces there. Finally the Lawyer came to a decision, of sorts. “I can’t believe it. I don’t have a choice! I might have to vote for the Communist!" “Why?” I asked, barely containing giggles. Turnout is likely to be light. It is a lovely day in the TMD, meaning that lots of folks will be heading out for the day. There are no pressing wedge issues and Mayor Inose Naoki is still a new, relatively popular and well-regarded manager (his demonstrated lack of any skills at dealings with non-Japanese being a source of bemusement rather than condemnation). There is a national election in a month’s time, meaning whatever anger issues voters have can be expressed at members of the Diet, rather than lowly, local assemblymen and women. The superlatives - Though the Wikipedia page on the populations of the world’s cities argues otherwise, the TMD, with its 13 million registered residents living on 2,188 square kilometres of landfill, low hills and along dark mountain valleys, is still one of the most populous cities in the world. If it were an independent country it would rank 70th on the world list. The TMD has the largest economy of any urban unit on earth -- and the third largest economy of any unit of local government , smaller only than the U.S. states of California and Texas. If it were an independent country its GDP would make it the 16th largest economy in the world, in between South Korea and Indonesia. Its 2013 budget is 6.6 trillion yen (USD $64 billion at current exchange rates). Lukewarm competition The 14 candidates vying for just 4 spots in the above example is outside the norm in terms of competitiveness. In many of the districts over half of those running will win seats. In total, 253 candidates are vying for the 127 spots …which makes the plethora of joke and freak candidacies all the less excusable. The ruling coalition’s reputation - this is a local election, so it should not mean diddly about national politics. However, the parties have imbued this fight with a great deal of symbolic energy, with members of the Cabinet and the Diet campaigning like crazy on behalf of these local officials. Given the way the national party popularity opinion polls have been running, the Democratic Party of Japan, which is defending only 44 of the 58 seats it holds, is going to get squelched. The Liberal Democratic Party, having taken back all the old constituencies that sheltered under its “big tent,” will do extremely well. However, since it is only running 59 candidates, it will be in essentially in the same position the DPJ has been. The New Komeito, the LDP’s partner in the ruling coalition, will do well thanks to the large numbers of members of the Soka Gakkai sect living in the TMD. If turnout is light, the New Komeito will do very, very well indeed. The only way the election will make news is if the LDP-New Komeito victory is less-than-overwhelming. If the ruling coalition fails to extirpate the DPJ and/or if mini-parties like the Japan Restoration Party or the Your Party do well, then pundits and prognosticators can start promoting a “the public is not convinced” narrative regarding the Abe Cabinet’s policies, particularly the Three Arrows of Abenomics. Hashimoto Toru and his movement - The election is supposedly also a mid-term referendum on the Osaka City mayor’s co-leadership of the JRP. Hashimoto has intimated that if the party performs as national polls indicate, which is miserably, he will have think about resigning with having seriously damaged his movement’s viability. Just how this state of affairs came into being -- that the Osakan co-leader of an anti-Tokyo populist movement is on the hook for how the party performs in a Tokyo election, while the co-leader who is a Tokyo resident is not -- is a thing of wonder. All four engines on a new reconnaissance plane stalled during a test flight earlier this year, it has been learned from a ministry source. When the incident was announced by the Ministry of Defense at a press conference on June 20, a ministry official discussing the P1 plane engine failure had said, "We can only say that multiple engines stopped." Later, in an interview with the Mainichi Shimbun, it was learned that the ministry had not yet told municipalities near the base that the failure had affected all four engines. According to the ministry's aircraft department, the engine failure took place on May 13 off the coast of Aichi Prefecture, after pilots from the plane's manufacturer, Kawasaki Heavy Industries, descended the plane from an altitude of 10,000 meters to around 8,000, and then regained flight posture while quickly lowering engine output. The maneuver was done to test an alarm on the plane for excessive speed. The crew was able to manually restart the engines, and execute a safe landing. One senior Defense Ministry official said of the engine trouble, "We were prepared for it and it is not dangerous." However, another senior official noted, "The P1 is a purely domestically-made and developed aircraft," adding, "The ministry was probably worried that the damage (to the project's public image) would be great." All four engines shut down...but of course "We were prepared for it and it is not dangerous." Not that we are going to tell anyone about it, any time soon, mind you. This report kind of makes the ongoing brouhaha about the Government of Japan purportedly lying to the public about the safety of the MV-22 Osprey flights seem misplaced and (in)advertently xenophobic, no? Global cities are turning into vast gated communities where the one per cent reproduces itself. Elite members don’t live there for their jobs. They work virtually anyway. Rather, global cities are where they network with each other, and put their kids through their country's best schools. The elite talks about its cities in ostensibly innocent language, says Sassen: "a good education for my child," "my neighbourhood and its shops". But the truth is exclusion. When one-per-centers travel, they meet peers from other global cities. A triangular elite circuit now links London, Paris and Brussels, notes Michael Keith, anthropology professor at Oxford. Elite New Yorkers visit London, not Buffalo. Sassen says: ...These new geographies of centrality cut across many older divides – north-south, east-west, democracies versus dictator regimes. So top-level corporate and professional sectors of São Paulo begin to have more in common with peers in Paris, Hong Kong et cetera than with the rest of their own societies." First, those who read the FT are almost all either in the 1%, are aspirants to being in the 1% or have fallen out of the 1% through lassitude or ill-luck. How many of the readers have turned to the mirror after reading the piece and said, "This is an essay about me and what people like me are doing to the world. How do I stop myself?" Second, the Tokyo Metropolitan District and Japan in general have for the most part opted out of participating in the crafting of a global superelite -- or if they are participating, they are doing so in an idiosyncratic way. Tokyo is an expensive place to live, a center of global finance and head-and-shoulders above the rest of Japan in terms of density of talent and wealth. The disportionality in international stature of Tokyo as compared to other Japanese cities indeed fuels a politics of resentment, the most obvious manifestation being the rise in the Osaka area of the Ishin no Kai. Tokyo super-elites tend, however, to be just that: Tokyo super-elites. Only the tiniest sliver, and not an influential one, of its members can truly be said to be international or internationalized. A person famous and successful in Japan cannot and frequently does not aspire to fame and success on a global stage. Even in terms of wealth, power and influence, Tokyo and Japan remain parochial. Except in terms of design, Japanese influence on the rest of the world tends to be muted. Few Japanese are in positions of international power, fewer still take part in the global elite conversation. Ask a member of the global elite the name of a famous Japanese author or thinker and you will draw a blank, or if they do name someone it will be Murakami Haruki, who is as much a marketing phenomenon as a writer. Most Japanese lack a portable reputation, such as is possessed by members of the international elite Kuper describes. In life, after corporate or keiretsu identity comes Japaneseness, followed in some cases by religious affiliation, then education, then class. The relative unimportance of class may be a significant reason why life in Japan and even in Tokyo remains basically decent for all. Japan does have a high and increasing Gini coefficient (Link). However, public transportation remains affordable and available in the remotest communities where it has no business being. Public housing is still being built (or nowadays being rebuilt) right next door to the toniest private residences, with the many economic strata represented shopping at the same supermarket, getting their shoes repaired by the same leather shop, grabbing a ramen and beer at the same hole-in-the-wall and receiving home delivery of the same newspaper. Elites in Tokyo may grumble about subsidies and tax breaks their poorer neighbors may receive but they are still neighbors. The upper crust and the lower depths still mingle. Contrast the everyday life of Tokyo elites with the totalizing and totalized world of elite education, personal safety, health and wealth of the globalized meritocracy -- and I do know about you but I will take the Tokyo model, thank you very much. So when I have seen op-eds about the declining number of Japanese undergraduates studying in the world's top universities (graduate studies is another matter) or the inability of Japan to attract highly skilled immigrants, my quiet pleasure has been to say to myself, "And thank goodness for it! Society is already stratified horizontally into good livelihoods and bad ones, and divided vertically into family lineages. The last thing the country needs is a super-strata of fluttering, mobile talent perched on top." 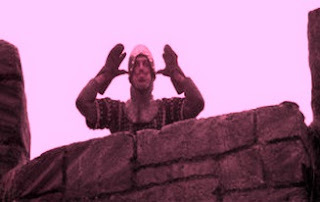 When I see Third Arrow proposals for special deregulated zones where non-Japanese can live and do unfettered business, with international schools operating under special circumstances and non-Japanese doctors treating patients outside of domestic controls, I want to take the plan, attach it to brick and drop it off a pier. Globalization, meritocracy, freedom to immigrate and emigrate -- these all open wonderful opportunities for the betterment of the lives of ordinary citizens...the trick, of course, is making sure that ordinary citizens receive the benefit. Of course a country needs some basic strengths to capitalize on the opportunities that being in the right place at the right time tosses in its direction. And of course, leaders of a country have to keep the "feel good" quotient high so as to attract voter and manipulate insecurities. However, leaders should never get so high on the mythology to believe that hard work and sacrifice were even close to being all that was needed. Ostensibly, all these news organizations had their representatives at yesterday's meeting, or received the reports of the advisory panel's recommendatoin. How can the numbers coming out of the meeting be all over the map? Since the panel has not recommended a halt in the vaccinations, it is difficult to assess what it is recommending the MHLW ask doctors to do. The incidence of mysterious pains is around 1 in 100,000, with the instances of lasting pains less than 1 in 300,000. At the same time, known adverse reactions to the vaccine (such as anaphalactic shock) numbered over 10,000. That and the fact that cervical cancer kills 2,700 Japanese women every year seems to argue that panic in the face of pressure is...inadvisable? Women's health advocates fought a long and costly battle to push the health industry and the government into including the HPV vaccine in the regimen of standard vaccines provided free for minors. It is both saddening and entirely in character that the advisory panel has chosen to delegitimize the program at the first sign of trouble, on the entirely political and utterly unscientific excuse of "Well, we do not know what is going on, but to cover our behinds let us retreat to the position of being neither for nor against the vaccinations." Jesper Koll will be at the Foreign Correspondents Club in Tokyo on Monday. Koll is an engaging and effusive speaker, his main fault being a Teutonic tendency to shout. I would go to witness the latest iteration of the Koll spiel (We all remember his TED talk from last year, bullish back even before Abenomics started slapping us around, yes? -- Link- YouTube ) but "Dogpile on Koll" is tired even as a silly party game. I hope the attendees leave him alone. He's a narrator, not a playright, after all. There have been a lot of debates on Abenomics. There will be a lot more. The one I want to hear will explain how a government and a central bank of an advanced industrialized democracy with a shrinking population creates inflation in the real economy (the capacity to create asset inflation is proven) without going through the actual physical procedure of printing currency and leaving it out on the street for folks to pick up. 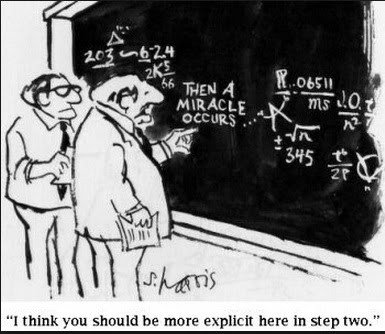 The enthusiasts have never explained that one. To put a Cadillac in your nose. Public opinion polls are supposed to be a reality check for politicians, keeping them from getting either too big for their britches or too far out ahead of the curve. However, sometimes the results of public opinion polls demonstrate that the pollsters, the public or both have a slippery grip on reality. Q: Which party do you support? There is one unexpected result -- and it is a doozy. What is so charming about this result? It is impossible. In May, 21% are feelin' it, baby. So, the Abe administration is in place one more month, initiating and implementing more and more of its policy program each day. During that month the percentage of those declaring that they have felt the effect of Abe's economics policies shrinks by 10 percentage points. 4) combinations of the above, which means...well, you know already. The most likely reason for the evidently possible (it has been recorded and reported) but obviously unusable set of results is #3, with the respondents getting caught up in the earlier zeitgeist and answering "Yes!" without looking at their own situations with objectivity. However the party support numbers for the JRP and the Your Party are also suspiciously low in this poll. In most other polls support for these two parties hovers in the 4% to 5% range. So options #1, #2 and #4 could also be in play. Whatever the cause(s), the loss of 10% of the "Abenomics - Are you feeling it?" believers over a month should be attracting a heck of a lot more attention. Later - In comments, a reader offers an Option #5. * The lowest turnout ever for a House of Councillors election was in 1995, when only 44.5% of the voters showed up. I was firmly in the former camp. After Sunday, I am not so sure. 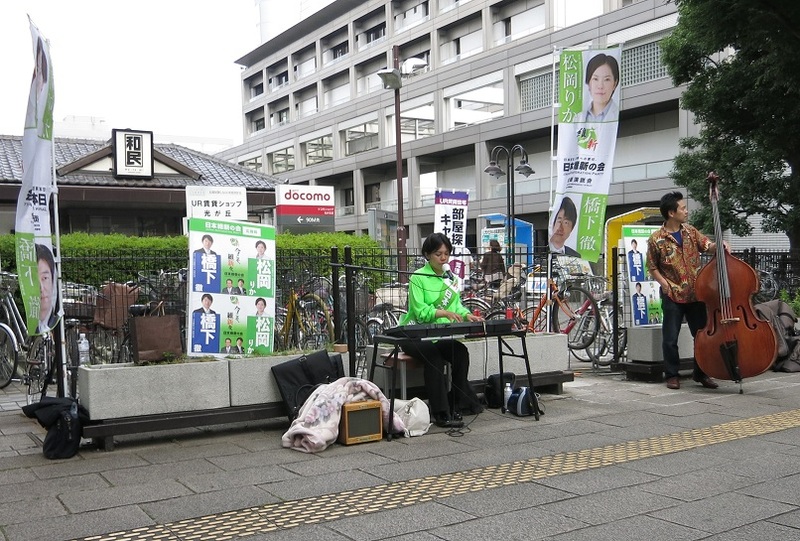 On Sunday, Your Party candidate for the Tokyo Metropolitan Government assembly Fujii Kaoru was plugging the crowds outside of Hikarigaoka Station in Nerima City. Dressed in a white suit (a trademark, it seems: Fujii is a dentist) she roved back and forth about the plaza, cheerfully seeking out passersby for a mutual bow or a handshake. By mutual agreement or through mutual antagonism, Fujii had to quit the scene at noon, awkwardly ripping her microphone and headset off her head as she did. For even as she was gamely trying to engage the potential voters (who are, understandably, not terribly interested in the upcoming June 23 assembly election) a young woman with a keyboard and a bass player set up next to her, launching, in their first number, into as swinging a version of Duke Ellington's Satin Doll as one will ever hear. So what? A Sunday afternoon concert sent the politician packing. The young woman on the keys, giving the Duke his due and more? 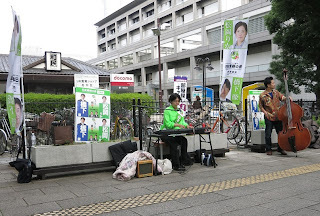 She was Matsuoka Rika, the JRP's Nerima candidate for the Tokyo assembly. How long Matsuoka held court on the plaza, delivering cool jazz to the multitudes on sunny, lazy afternoon, I do not know. All I know is that four and a half hours later, when I came back to the station, she was still playing, calling out "Hello, good people of Nerima Ward. I'm the Nippon Ishin no Kai’s Matsuoka Rika!" every so often -- but letting the music do most of the talking. Now I have seen my share of campaign stop performances…but this one was one for the history books. Whether Matsuoka's unorthodox approach to campaigning comes at the encouragement of open-minded JRP executives -- "Go ahead, play. Do what works for you!" -- or out of a personal "Oh, well, what the hell" defiance of the odds, the JRP having fallen, according to Kyodo's latest poll, to fourth place among the parties with 4.8% of the voters supporting it (and to only 1.5% support in the latest NHK poll) -- the result was a refreshing departure from the usual practice of politics here. That the candidate Matsuoka pounded out of the plaza was the one from the newly arch-enemy Your Party (Link) made the notes sound all the sweeter. Later - Broken links in the above have been fixed. Photo: Nippon Ishin no Kai candidate Matsuoka Rika. Nerima City, Tokyo Metropolitan District on June 9, 2013. Q: The Abe administration's economics team members are on record as being the enemies of deflation and a hard yen. Does that enmity persist when the evil twins make the Prime Minister look like a good steward? Funny thing about these positive numbers -- they are both conversions. Does the raw data still tell quite as salubrious a tale? Take the real GDP figure. One would assume that an economy with an annual real growth rate of 4.1% has more yen it after a year has passed than it had before. One would think that, yes. However, the total nominal size of the Japanese economy -- that is to say the number of yen one can use to pay for things, like, let us say, interest on the national debt -- was, in the first quarter of 2012, 118.4 trillion yen. A year later, nominal GDP in the first quarter of 2013 was...117.6 trillion yen. "Real" is a funny word in economic statistics. It makes sense for economies undergoing inflation, as asking citizens to "get real" keeps them from getting giddy about rises in nominal income. "The growth number may look big," the government is telling them, "but please remember you are paying more for stuff too." In economies undergoing deflation, the entity in danger of going all giddy is the government. If deflation is accompanied by negative nominal growth, the temptation for the government is to trumpet "real" to make what are on the surface smaller totals bigger. "Look, there is less currency in your pockets," the government says, "But thanks to deflation, that smaller total buys more stuff than before." "Yes," Hiromi Q. Public says, "But what about the stuff I have already bought? How can I make the payments if the actual number of yen in my pockets is smaller?" "Oh," says the government, "Oh that. Yeah, that's a problem. Sorry, that's gonna sting." 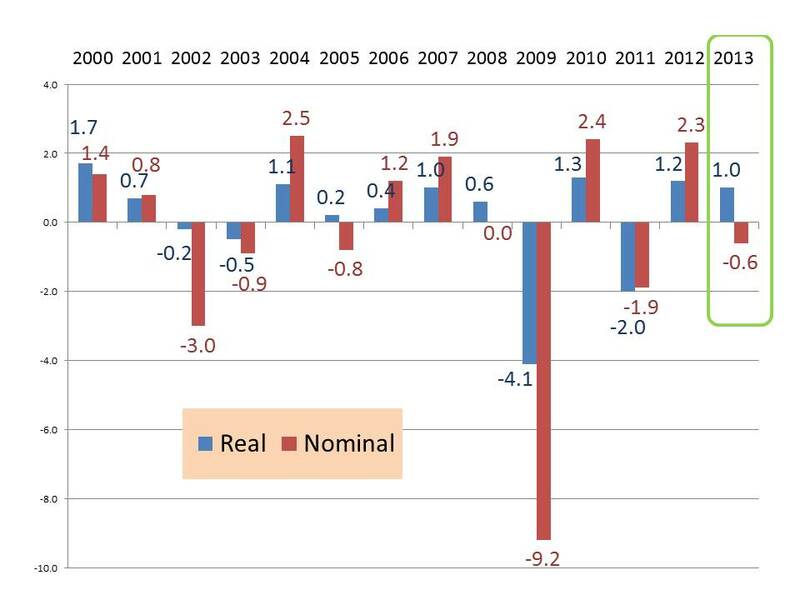 In the graph below, the blue and red bars show the different figures for the reported real (blue) and nominal (red) rates of growth in the first quarters of the last fourteen years. Click on image to view in a larger size. There are, as you can see, some very, very ugly numbers here. The drop in response to the Lehman shock (2009 Q1) is terrifying, in both nominal and real terms. However, "getting real" -- that is converting the more swinging nominal figures into real, that is to say, theoretical yen is not, for the most part, misleading. The figures for the first quarter of 2013, where a -0.6% loss in size becomes a 1.0% gain in value, are therefore notable for their potential to empower mendacity. The only comparable quarter is the first quarter of 2005, when the nominal economy shrank at a -0.8% but the government booked a 0.2% gain. In the trade release figures, there is a 100.8% difference in the current account total of April 2012 and April 2013. Very impressive...except that these are not the same yen, are they? Let us, for simplicity's sake, take the U.S. dollar as the surrogate for all the currencies of the rest of the world, the "rest of the world" being where this current account surplus was made and where it stays (the current account surplus being the amount a country adds to its net foreign assets). Monday's announced figure, when converted at 97.52 yen to the dollar -- the yen's value on 30 April 2013 -- is 7.69 billion dollars. Year-on-year growth in net income in dollars is a still impressive 64.3% -- but the growth is not the doubling recorded in the ledgers of this blessed land. To get to 100.8% growth, you need a boost from last year's terrible hard yen. In fairness to all, the valuation of a positive net foreign asset position in a fluctuating currency regime is alchemy, always. * The choice of the value of the yen on 30 April is arbitrary -- but then the conversion figures used by government statisticians are approximations. My family name, however, is pronounced "Chew-check." You can find us primarily in Slovenia and Croatia. All the major newspapers have their editorial cartoonists. Some are better draughtsmen than others, with a great or lesser grasp of the tradeoff between image and caricature. Almost all, however, are unfunny, or what is worse, unclever. 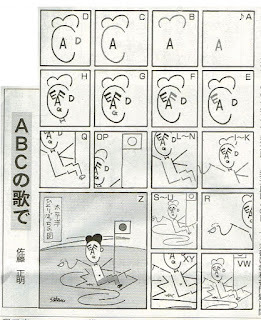 The exception is Sato Masaaki, the cartoonist for the Tokyo Shimbun. He foregoes artistry or style, choosing instead crude drawings with a bite. He has willingness to use all shared knowledge, including his readership's much derided but still considerable understanding of the English language, in order to charm and incite. Click on image to see in a larger view. In the last panel, the caption reads, "The image of all alone in the Pacific." 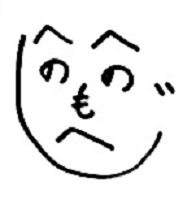 Children are taught the use of kana to draw faces, such as the simple face below composed of two he for eyebrows, two no for eyes, a mo for a nose, a he for a mouth and a ji for the jaw line and a tuft of hair. In this the digital age the tradition of constructing faces out of characters has been extended in the profusion of multi-line emoticons and the massive stroke drawings of the list-serves. 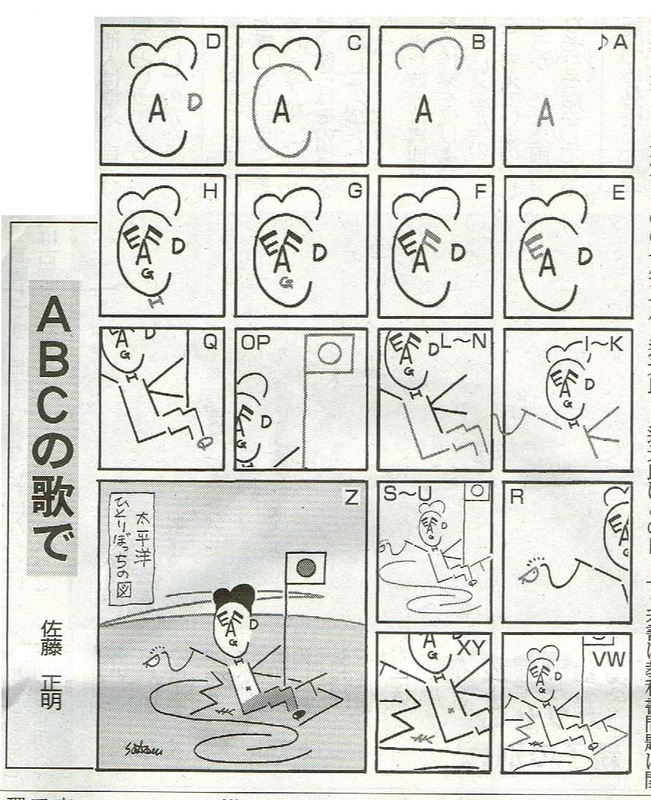 But to use all the letters in the alphabet to draw a picture of a Hinomaru-flaunting Abe Shinzo making a go of it all alone on a tiny island in the middle of a Pacific -- in this there is a precious madness. For once, I have no idea what Sato is driving at. And I know there has to be an allusion or pun in this. Because with Sato, there are always multiple levels of meaning. Recall the New Year's Eve song contest cartoon from last year? Where Abe is singing "Here Comes The Sun" not only because it offers an apt description of his return to office but because it is the signature song from the album...wait for it...Abe Road? So any guesses as to what Sato's ABC song is really about? Via the Prime Minister's Residence, evidence that Abe and Company are in so preoccupied with fostering the image of engagement that they are failing to pay close attention to what they are saying. The government has, inside the Prime Minister's Office, a headquarters for decentralization. A Headquarters for Promoting Decentralization inside the Prime Minister's Office. Call it a Task Force on Decentralization. Call it a Study Group on Decentralization. But please never become so completely inured to the everyday meaning of words as to be blind to the glaring oxymoron of a Headquarters (honbu) for Promoting Decentralization (chiho bunken) located inside the Prime Minister's Office. But indicative of a preference for a semi-manic force feeding of change initiatives over governing. Electoral reform: Making it count / Should electoral zones be absolutely proportional to populations? This is the second installment of a series. There is growing mistrust between judicial and legislative circles over the value of a single vote based on the population represented by each lawmaker. On March 26, the Okayama branch of the Hiroshima High Court ruled that the House of Representatives election last year, in which there was a vote-value disparity of up to 2.43 times, was "unconstitutional," and that election results for Okayama Constituency No. 2, where the vote-value disparity stood at 1.41 times, were "invalid." "The Constitution leaves matters concerning electoral systems to laws. I think judgments regarding whether electoral systems are unconstitutional or constitutional should primarily be left to the Diet." Article 47 of the Constitution stipulates, "Electoral districts, voting method and other matters pertaining to the method of election of members of both houses shall be fixed by law." Nakatani's reference to the article indicated his hostility toward the judicial bodies over their infringement of the Diet's discretionary power. 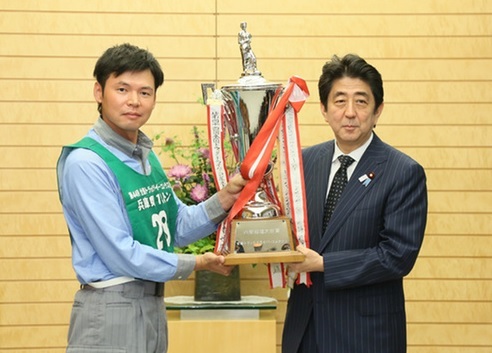 Takashi Yamashita, an LDP lawmaker elected from Okayama Constituency No. 2, also cast doubt on the ruling, which if abided by would cause him to lose his seat. First, nice use of the demeaning question marks around the judgments of the high courts. Very respectful. Second, I guess Representative Yamashita understands the constitutional requirement that the members of the Diet be representatives of all the people (Ryogiin wa, zenkokumin no daihyo to suru) to mean "people as they have been or might be, but not as they are." For having lawmakers representing the urban areas, where the people are, is unfair to the rural areas, where the people are not, right? Third, Article 47 of the Constitution? That your winning hand, Yomiuri? Really? Pull up a chair. Let us play a little round of jurisdiction poker. Ok, let us lay down your card one more time. I am feeling generous today. I will give you a wild card. The highest organ of state power? Whew. That is good. Now, what do I have in my hand? Oh, too bad. When the Supreme Court delivers its judgment, as it will later this year on the constitutionality of the December 2012 House of Representatives election, that judgment will be final. Whether the Supreme Court has the means of enforcing an unconstitutionality ruling, in the face of resistance from a House of Representatives determined to cling to power -- that I grant you is a question. What is more, it is the only one in Japanese hands. As for selling the concept of Abe's renouncing of Japan's claims on Dokdo/Takeshima by putting such a renunciation on a level with Sadat's acceptance of the Camp David accords and Nixon's opening with China, one could hardly fault Abe Shinzo for dryly noting, "And taking these bold leaps resulted in huge personal benefits for both men, yes?" Not that there is not merit in renunciation -- for the United States. Dokdo is a flashpoint in South Korean/Japanese relations, complicating the establishment of an integrated regional security structure of U.S. allies -- not that the establishment of a Japan-South Korea axis in such a structure would in any way be perceived as the crucial step in a strategy of containment of China, much less be one. Acquiescing to South Korea's military seizure or liberation (choose one) and garrisoning of Dokdo/Takeshima as a fait accompli would make it harder for Japan to hold any sort of line with Russia over the sovereignty of the Southern Kuriles/Northern Territories. It would also be very hard for the Prime Minister to explain to the families of the dozens of Shimane Prefecture fisherman injured or killed and thousands jailed during the period 1954 to 1965 -- from the arrival of South Korean forces to the normalization of relations (not that there is any chance that such a betrayal would lessen the Liberal Democratic Party's hammerlock on Shimane, mind you) -- unless he wrested from the South Korean government a sincere apology for the brutality it showed toward Japanese civilians. A mental retort of "And it will be a cold day in hell before that ever happens" is not inappropriate here. Having South Korean forces, armed and armored, occupying Dokdo/Takeshima, islets lacking fresh water sources, scanning the horizon for the Japanese invasion that will never come, and having patriotic South Koreans spending money, time and energy trumpeting South Korea's claim on Dokdo/Takeshima in venues appropriate and inappropriate all over the globe plays into the vital revisionist theme of Japan as victim, in this case of an irrational and therefore indissoluble South Korean paranoia. In the end, my puerile association of the Clad/Manning appeal with the one King Arthur makes to the French soldier is not far wrong. Abe Shinzo, like Guy de Loimbard, has a stout fortress. An appeal to come outside to join an idealistic quest is something about which (and who could blame him) he is not very keen. Kyodo Poll Results For The First Week Of June 2013 - Am I Up? More important: Which party are you likely to vote for in the House of Councillors proportional vote? It is June 4. The Diet session ends on June 26. 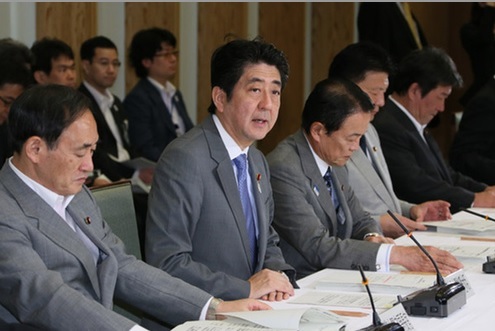 Prime Minister Abe has no interest in extending the Diet session. This means an election on July 21 (Link - J ). Forty-five percent of the electorate wants to vote for the LDP. The electoral system is designed to perpetuate LDP rule in the single-seat districts and LDP equality in the multi-seat districts even when the LDP is deeply unpopular. The proportional seat distribution is weighted in favor of big parties. A will to fight with every gram of one's strength is laudable. However, there comes a point where one should just shrug one's shoulders, finish up what one has been doing (for SIX YEARS - Ed.) and start calling up old friends. While Hashimoto's comments have severely injured the Japan Restoration Association, the bleeding from the wounds he inflicted has largely stopped. Hashimoto's mendacious and wily defense at the FCCJ press conference may indeed win him and his party a few percentage points of support over the next few weeks. That said, the JRA has little future as an institution for change. It will be a micro-party in the House of Councillors, meaning that it will have little attraction as a coalition partner for the LDP. In the House of Representatives, its members will be the face of revisionist thuggery, making it a wonderful foil for the LDP, which will appear sane by comparison. 48.1% of the respondents support the LDP. 44.6% say they will vote for the party in the House of Councillors election. This means 3.5% of the population believes it can go up to an LDP Senator and say, "You know, I support you -- but I sure as heck won't vote for you." - Where will you go Ozawa Ichiro? The PLP has six of its eight House of Councillors seats up for reelection. If the party holds onto a single seat, Ozawa should throw a celebratory bash. One seat will leave Ozawa with three Senators and six Representatives under his authority. He has been down before -- but never like this. What a price he (and the country) has paid for his hubris in the fall and winter of 2009-10. The really interesting number in the Kyodo poll? Support or not for revision of Article 96, the article mandating a two-thirds majority of all members of both Houses of the Diet for any proposed changes to the Constitution. Do you agree with a loosening of the requirement for a two-thirds majority to only a simple majority in both Houses of the Diet? You read that right. 48.1% of the respondents said they are supporters of the LDP and 44.6% said they are ready to vote for the party in July. However, only 37.2% of the respondents were in favor of lowering the bar in order to facilitate (some would say eliminate all restraint on) constitutional revision. The LDP cannot even get all of its own (self-identified) supporters in line to eliminate the constitution's key bulwark against mob rule. As the shift in the numbers since mid-May indicates, public opinion seems to be moving in favor of retaining Article 96 as is. 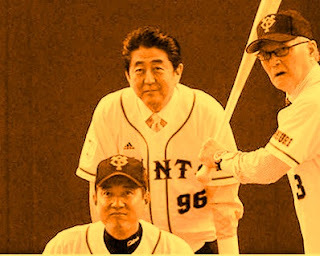 Any wonder why the talk of revising Article 96 and/or the Constitution has died down to a whisper since Abe Shinzo's coy little little bit of number play* on his ceremonial Yomiuri Giants uniform on May 5 (above image)? 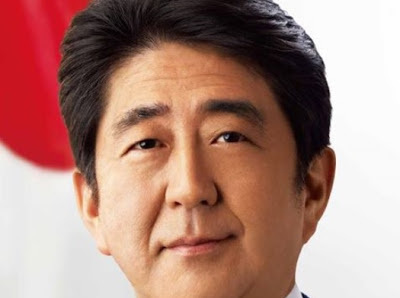 * Abe Shinzo is Japan's 96th prime minister. His donning of a uniform with the number 96 on it could have been innocent. However, the PM did nothing to discourage speculation he was broadcasting a message of strong support for revision of Article 96. Both essays hint at what appears to be a change in the way Abe Shinzo and his Cabinet operate. Both Abe and the Liberal Democratic Party squeaked into power in the LDP presidential and December House of Representatives elections, meaning that both faced pressures to produce results in the immediate term. However, for various reasons (the most convincing one I have heard: "the Japanese people are just tired of being in a bent over in a defensive crouch"), the man and the party have a mad surplus of political capital in the bank (Cabinet support, Party support). The July 21 (?) House of Councillors election will be a coronation. Relieved of worries about July, Abe & Company can be insincere in every direction. They do not have to pander to a core constituency; they do not have to assemble a coalition of disparate forces. Instead they can play upon the neediness of particular interest groups by making what are head fakes toward their hot button issues, feigning commitment to a position, stirring up a fire storm of protest in response, then beating a hasty retreat. Tobias Harris has highlighted this stimulus-response-retreat pattern for the specific case of constitutional reform. However, the this-has-to-be-done/wow-why-are-folks-so-angry/oh-I-guess-it-can-wait model seems applicable to almost any policy initiative and constituency. 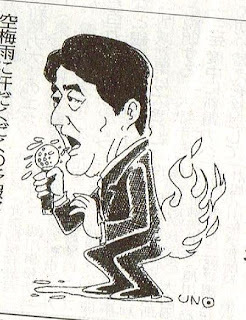 In terms of the red meat revisionist issues of Yasukuni visits, revising Article 9, war responsibility, the sanctioned brothel system and garrisoning the Senkakus, Abe and his Cabinet have the luxury of limiting themselves to gestures, signs and code words, signaling to their revisionist followers of their purported true beliefs, while going through desultory pantomimes of being held back by Japan's internal and external foes. Of course, by making intermittent, sulphurous and maudlin shows of addressing an issue -- such as, let us say, securing the transfers of the remains of the deceased abductees and freedom of travel for the surviving relatives still in North Korea -- but never actually achieving the stated goals (or by constantly moving the goal posts further, which is effectively the same thing) -- the politician's gravy train rolls on.